How To Convert Audio Using 3uTools? 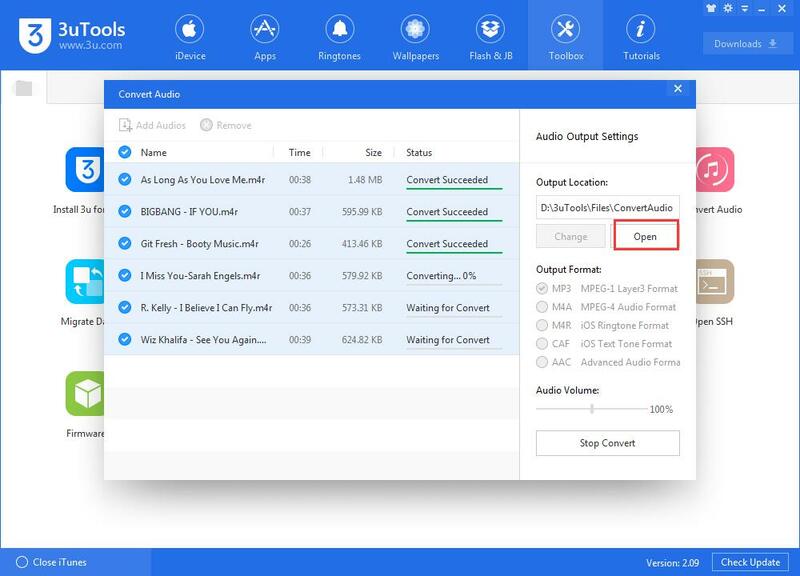 Convert your audio like music to the MP3 /M4A/M4R/CAF/AAC format with 3uTools audio converter. Upload your audio file and the conversion will start immediately. Step 1: Download and install the latest 3uTools (V2.09) on PC. Connect iDevice to PC using the USB cable. Click Toolbox -> Audio Convert. Step 2: Click Add Audios, or you can directly drag audios into the list. 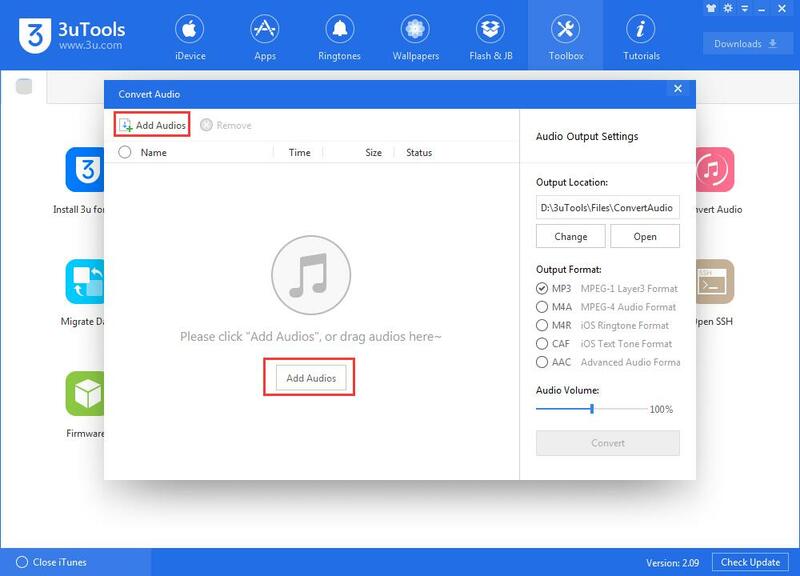 Step 3: Select the audios you want to convert -> Select the Output Format and the Audio Volume you need -> Click Convert. Step 4: After they are converted successfully, you can find their storage location by clicking Open in the right column. 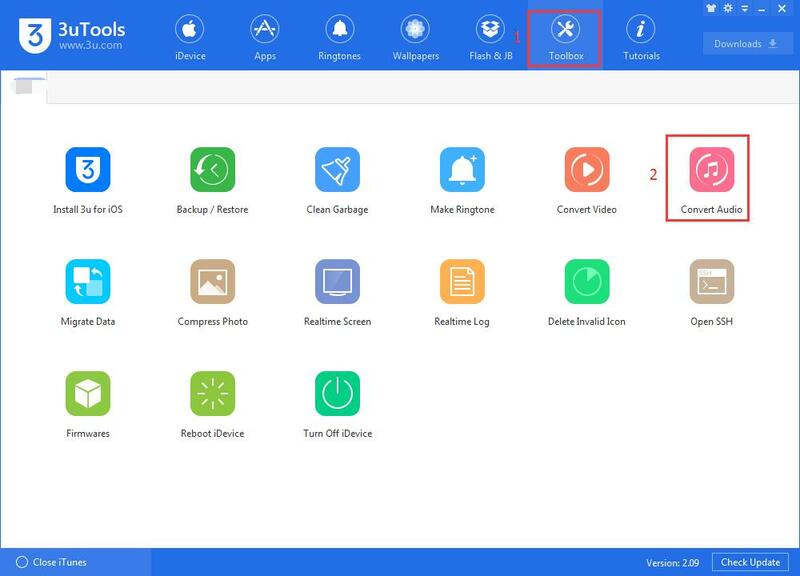 By the way, 3uTools can help you import all the audios to your iDevice. If you want to convert music to (M4R/CAF) format, After it's converted, it can be used as your iDevice's ringtone. We are constantly improving our service. 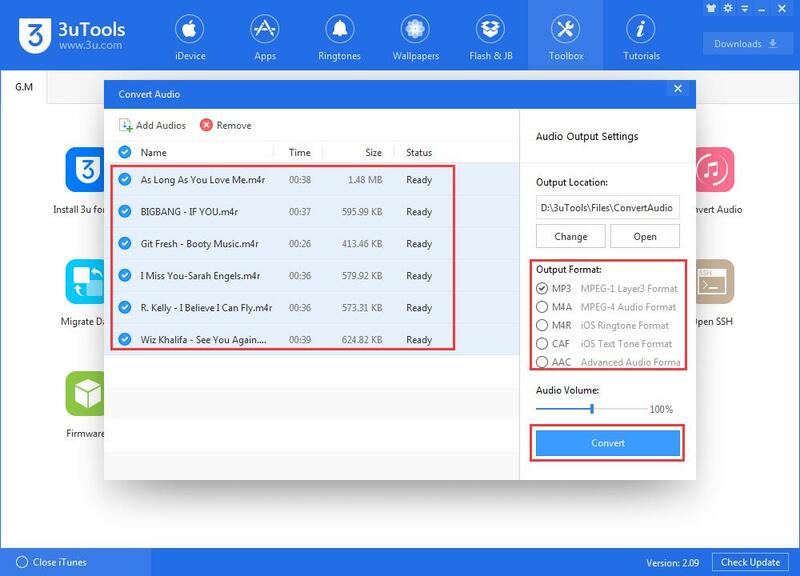 If you have a file that we can't convert to the formats we have mentioned above, please contact us so we can add another audio converter.